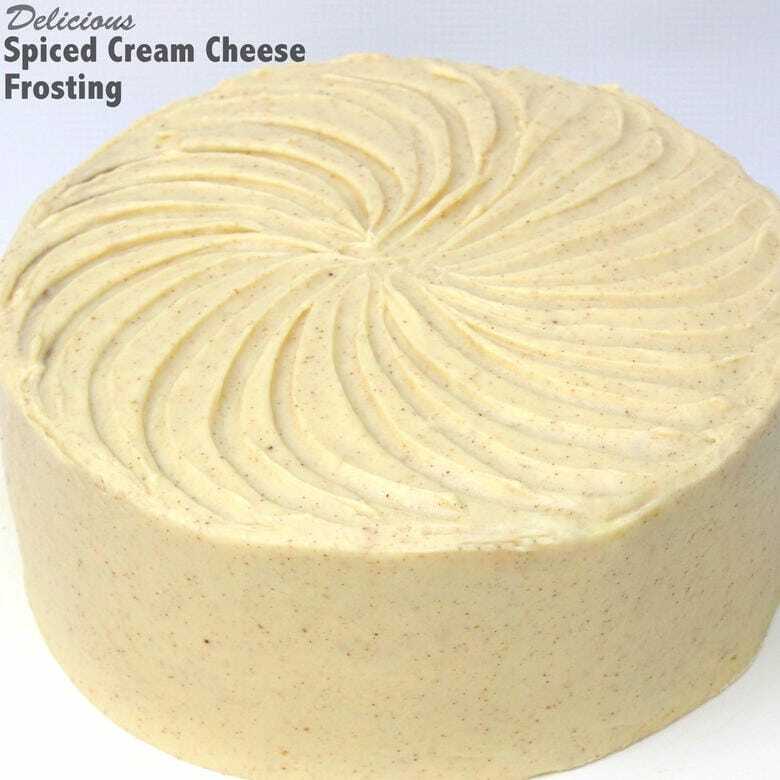 This simple Spiced Cream Cheese Frosting recipe is deliciously flavorful and pairs wonderfully with Pumpkin Spice and Gingerbread cakes and cupcakes! This frosting makes a great filling, frosting, and pipes beautifully. Add the powdered sugar, vanilla, and pumpkin spice. Beat on medium speed for 2 to 3 minutes (longer if using a hand mixer) until light and fluffy. Scrape the bowl midway through. Use immediately or refrigerate. If you have beaten too long and it is too soft to pipe, just refrigerate a while and let it firm up. **No pumpkin spice? You can use 1 teaspoon cinnamon, 1/4 teaspoon nutmeg, 1/2 teaspoon ground ginger, 1/4 teaspoon cloves. There is some "wiggle room" with this if you prefer a stronger flavor of one spice over another. Hi Michael, I see how that was confusing. I have changed it so it will read more clearly.